When visiting China, visiting the national symbol is a must! The Panda Bear is known worldwide by its distinct features. Unfortunately it is driven to extinsion, but with the help of the Panda Research Center in Chengdu there is hope. With a good functioning breeding program and 50 Giant Panda’s plus 20 Red Panda’s strolling around. Dearly note that it is not a zoo. The animals are not on display and are not very active throughout the whole day. 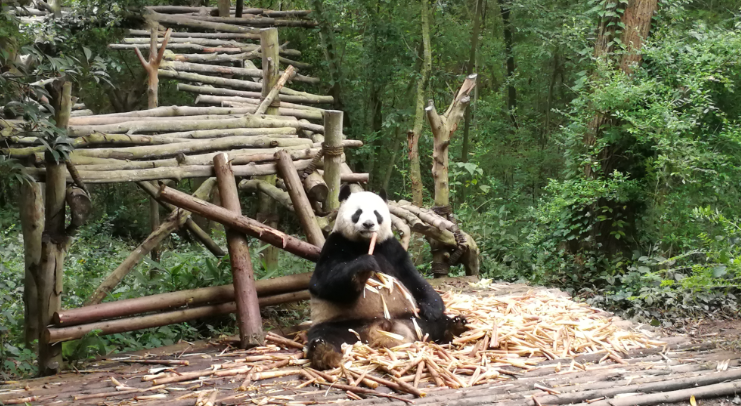 The park is build in a way to learn its visitors about the Panda bear with interactive activities.